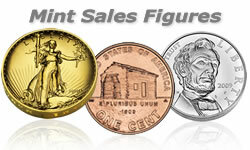 This week there is a huge surprise in the Lincoln Silver Dollar sales figures. Additionally, we learn how the new Braille commemoratives are performing, say goodbye (again) to Lincoln Birthplace cent rolls and watch sales of the Ultra High Relief (UHR) Gold coins sputter to a near crawl. First to the surprise. When the Lincoln Silver dollar availability date was announced, the US Mint said 50,000 of the proofs were allocated for a special five-coin set. In an eyebrow raiser, we learn that amount is likely to be substantially less. 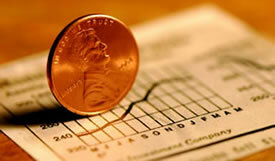 The law authorizing the bicentennial Lincolns permits a maximum mintage of 500,000. The latest US Mint figures show 465,614 Lincoln Silver dollars have already sold. Unless something gives, that leaves less than 35,000 for the special set. The Uncirculated Lincoln Silver Dollar sold out Tuesday. Orders may still be placed, but the chance for any to go through is based solely on an older order being cancelled. The latest Mint stats show a total of 135,793 have been sold, with an increase of 8,830 over the last numbers. Sales of the proof Lincoln version will end soon. As of this writing, there are likely just hundreds left. 312,075 have been purchased. With both silver and proof options combined, 447,868 are now gone. Only 450,000 are permitted, plus another 50,000 proofs reserved for a special set yet to be announced. Lincoln Silver Dollar sales are still vigorous, the pace of Ultra High Relief (UHR) Eagle Gold coins picked up gently, and sales of the newly offered Lincoln Birthplace Cent are on fire. Now is REALLY the time to purchase a Lincoln Bicentennial Dollar for those who have any interest and have waited. Total sales are up to 423,451, with nearly 43,000 more sold since the last report. The US Mint has a limit of 450,000, and an additional 50,000 reserved for a special yet to be announced set. It is extremely likely the available coins will sell out very shortly. Lincoln Commemorative Dollars are still the hottest US Mint collector coins, but sales have cooled somewhat compared to prior weeks. The proof and uncirculated dollar numbers increased 14.1 percent and 12.4 percent, respectively, versus last week’s reported 45.9 percent and 35.1 percent surge. The latest US Mint sales figures show 45,534 more Lincoln silver dollars have been purchased for a total of 380,585 since they were first offered on Feb. 12. Sales of Lincoln Bicentennial Dollars are screaming along and Ultra High Relief (UHR) Double Eagle Gold coins hit a new milestone. Lincoln Bicentennial Silver Dollar sales figures blasted forward, with the proof coins surging an impressive 45.9 percent higher than the prior numbers and the uncirculated coins rising 35.1 percent. A combined 99,803 were purchased in the last several days, pushing the total sold to 335,051 since the commemoratives first went on sale Feb. 12. That is within reach of the 500,000 mintage limit. More over, an amount within the 500,000 is also reserved for a yet to be announced special set. US Mint sales of 1/2 oz uncirculated 2008-W American Eagles gold coins surged from the last report, rising an impressive 104.5 percent. The coin was the final remaining 2008-dated gold eagle from the Mint until it sold out Wednesday. 49,788 Ultra High Relief Gold coins have been sold. Sales increased 3.7 percent since the prior report, but the pace has slowed somewhat. 1,789 were purchased by collectors compared to the previous 2,579. Lincoln Silver Dollars jumped again. Proof versions went up to 159,634 while the uncirculated option hit 75,614. The US Mint first offered the commemoratives on Thursday, Feb. 12. The US Mint is left with two 2008-W American Eagles gold coins in the uncirculated collector series inventory. The 1 oz option sold out Wednesday. Sales were respectable with an increase of 799, or 9.3 percent. The biggest jumper in the series was the 1/4 oz option, rising 11.4 percent. The 1/4 oz size settled down with an increase of just 0.6% following last week’s reported surge of 48.1 percent. After the current inventory is exhausted, these two coins will not be sold by the Mint again. 2009 Ultra High Relief $20 Double Eagle gold coins moved nicely, rising by 2,579, or 5.7 percent. Collectors have now purchased 47,999 UHRs since they went on sale Jan. 22. 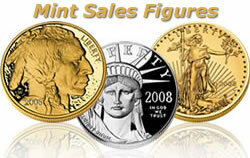 No sales figure changes were reported this week for the remaining 2008-W American Eagle Gold Uncirculated Coins. Unusual, given other collector coins moved and coins did sell. In fact, the gold eagle four-coin set sold out Tuesday. It will be another week of waiting to see how the US Mint updates the numbers next week. For the second consecutive week, the 2009 Ultra-High Relief and uncirculated 2008-dated American Eagle gold coins went up in price on Thursday. The increases follow a week of higher gold prices and the Mint pricing policy that was launched on January 12. The former showed a zero increase in sales, as was the case in the last report and still noted as unusual. The latter gold proof coins expectedly rose. Sales increased by 2,503 coins, or by 18.4 percent compared to last week’s reported 16.4 percent increase.